Recently, the site shared an awesome letter from Dave Grohl, lead singer of the Foo Fighters, urging the governing council of Cornwall, England, to reconsider a noise ordinance that prohibited a young band from practicing in a residential area. Grohl's letter is chock full of persuasive writing techniques, including a great mix of rhetorical appeals. It would make an excellent mentor text for a unit on persuasive writing. However, knowing how to tease out useful writing strategies from mentor texts is a skill in and of itself. Reading as a writer means probing the ways an author expresses ideas. We can help students learn this skill by presenting and modeling a special reading process. Is this the kind of writing I could picture myself doing? Step 2 Read the text once for understanding. Step 3 Break up the text into parts (paragraphs; headings; beginning, middle, ending). What does this part accomplish? How does the writer accomplish it? What effect does this part have on me as a reader? Do I notice any special writing features? (a short but effective sentence or a strong piece of evidence)? How does this part (paragraph, sentence, word) relate to the part that came before it? How could I implement a similar technique in my writing? 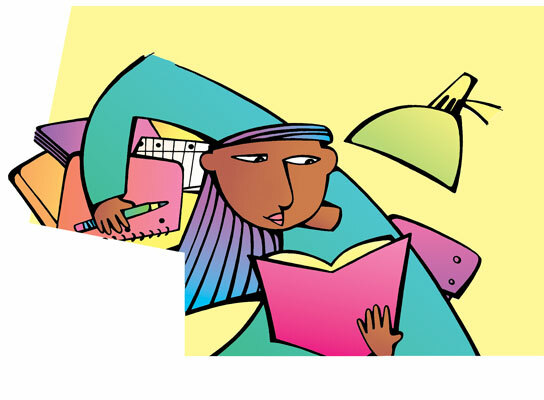 Share a minilesson for "Reading as a Writer." Here’s how you might break down Grohl’s letter with your students. My name is David Grohl, and I’m writing on behalf of the local music group Black Leaves of Envy. It has been brought to my attention that the band is having difficulty functioning within the current noise restrictions placed upon them by the Cornwall Council, a maximum of 30 to 40 decibels (approximately the level of a dishwasher at 15 meters distance). The opening paragraph explains the situation, giving important background information by answering many of the 5 W’s. We now know who the writer and readers are, what the letter is about, and why the person is writing. The use of parentheses at the end of the paragraph stands out. The parentheses seem to indicate an aside, but the information in them does a lot of work. First, the content invites us to recall a familiar noise that reaches Cornwall's 40-decibel noise limit. When we write about topics that not everyone will understand (like noise decibels), we too can use everyday comparisons to help our readers understand our topics. Grohl's dishwasher comparison also implies that the Cornwall ordinance might be overly restrictive. After all, the sound of a dishwasher sends few people running for earplugs. Skillful writers let strong evidence speak for itself. I am an American musician of over 30 years, having played professionally with such bands as Nirvana and Foo Fighters, just to name a few, selling over 100 million records combined. I have traveled the world since 1987 playing clubs, arenas, festivals and stadiums, many of them in the UK. Clearly, Grohl wants to show he has authority to address this topic, and the details more than accomplish his objective. This is an example of an appeal to ethos (ethics). By demonstrating his authority, he suggests that we can rely on what he has to say. When we write to persuade, we can appeal to ethos by outlining our own credentials related to our topic. Like many musicians, I started in a garage in my neighborhood. Together with friends, my adolescent years were made better by playing music with others. Music is not only a healthy pastime, it is a wonderful, creative outlet for kids, and fosters a sense of community necessary to the emotional and social development of any child. It is tremendously important, and helped me through those otherwise difficult years growing up in Springfield, Virginia. Grohl moves from talking about his credentials as a musician to outlining reasons why playing music is important to youth in general. Remember, he is writing on behalf of a young band, but the noise ordinance impacts other bands as well. Notice his mix of rhetorical appeals. The first and second sentences appeal to ethos. The third and fourth sentences appeal to logos (logic) and pathos (emotion). Mixing different types of rhetorical appeals strengthens arguments.The last sentence is particularly powerful: Why forbid a healthy and constructive outlet for youth struggling through adolescence? This is the second time Grohl has ended a paragraph with a strong point. Perhaps, this is something we can try in our own writing. For musicians that lack the resources to rehearse in professional facilities, a garage or basement is the only place they have to develop their talent and passion. I believe that it is crucial that children have a place to explore their creativity and establish a sense of self through song. The preservation of such is paramount to the future of art and music. Without them, where would we be? As a proud father of three aspiring musicians myself, I have always made this a priority in our home, to great results. Grohl now moves from general benefits of music to specific arguments for garage and basement practice spaces: I believe that it is crucial that children have a place to explore their creativity and establish a sense of self through song. The first three paragraphs work toward this specific argument: The main point doesn’t always have to come first. Also, note the rhetorical question, which invites readers to reflect on the argument. When we write to persuade, we can use rhetorical questions, too. For the sake of your local band Black Leaves of Envy, and for the generations of young musicians that they may eventually inspire, I ask that you reconsider the restrictions put upon the volume of their private rehearsal space. I believe that doing so, you will be sending a message that Cornwall is not only a home to music and the arts, but a place that encourages children to follow their dreams in a world where anything is possible. The final paragraph narrows Grohl's focus even further and describes his main reason for writing: to ask the council to reconsider the restriction on volume for private music spaces. Grohl begins the paragraph by reminding the council of the gravity of the situation. Then he makes his specific call to action before closing the letter with one more powerful reason to follow through with the action. We could follow a similar pattern to close our own persuasive pieces. Also note that Grohl avoids an accusatory voice that blames the council for the ordinance. Instead, his voice encourages the council to create a positive change for the band and for Cornwall. He aligns his plan with the council's own goals. Of course, students may not initially have the critical eye or vocabulary to discuss reading to the same degree as this analysis. That's okay. Reading as a writer will help students improve their own work, and writing as a reader will further hone their analysis skills. Repeating both practices throughout their school day will help students learn and grown "in a world where anything is possible."